Appreciative Leadership is the capacity to mobilize creative potential and turn it into positive power—to set in motion positive ripples of confidence, energy, enthusiasm, and performance. This course will explore Appreciative Leadership and how a leader can fully engage their team through powerful, positive questions and strengths-focused leadership practices. Participants will engage in practical and interactive activities to experience the mental shift involved in an “appreciative flip” and take away actionable tools to strengthen their leadership. Learn how adopting a strengths-based, appreciative approach unleashes employees’ energy and commitment to their work. Understand how powerful questions shift our thinking and learn how to construct these types of questions for your workplace. Learn how other organizations, teams and workplaces achieve the appreciative flip through case studies and real-life examples. Gain practical tools to bring appreciative leadership into your workplace. Dolores is a Leadership Development Specialist, Consultant and Facilitator with over 10 years of experience working with a diverse clientele in varying industries. She is interactive, inspiring, and passionate about cultural diversity and inclusion. 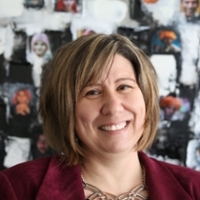 Dolores specializes in workplace communication skills, leadership development, systems thinking, and strengths-based approaches to create high-performing workplaces. Dolores holds a Masters in Leadership (MA) from Royal Roads University and is a Certified Facilitator of the Myers-Briggs Type Indicator (MBTI).